Parrikar has broken a tradition of sphinx-like silence, wherein his two UPA predecessors rarely acknowledged the existence of India’s nuclear deterrent or even mentioned the ‘N’ word. 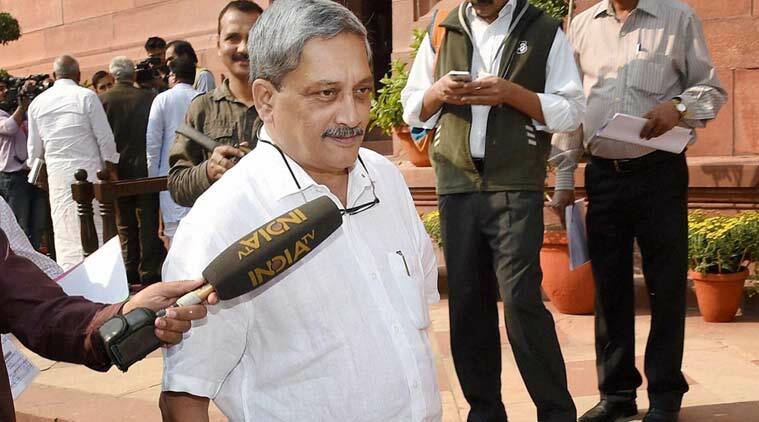 Raksha Mantri (RM) Manohar Parrikar’s seemingly wayward remarks about India’s nuclear posture may have stirred a hornet’s nest in the media, but if they are indicative of a new-found interest in security matters amongst decision-makers, this occurrence needs to be lauded. Given their preoccupation with electoral politics, it is worrying to see how little time and mental space our political leaders devote to national security. Nowhere is this neglect more worrisome than in the area of higher defence management and the existential complexities of our nuclear deterrent. Even if he was expressing personal views, which may or may not be in consonance with state policy or media perceptions, Parrikar has broken a tradition of sphinx-like silence, wherein his two UPA predecessors rarely acknowledged the existence of India’s nuclear deterrent or even mentioned the ‘N’ word. The RM’s off-the-cuff remarks will serve a useful purpose if they trigger a debate on nuclear issues that include India’s hastily made commitments to no-first-use (NFU), a “minimal” arsenal and the self-imposed moratorium on testing. After all, the BJP’s 2014 election manifesto had promised to”study in detail India’s nuclear doctrine, and revise and update it, to make it relevant to challenges of current times”. WHERE IS INDIA IN CHINA’S WILD ARMS RACE? 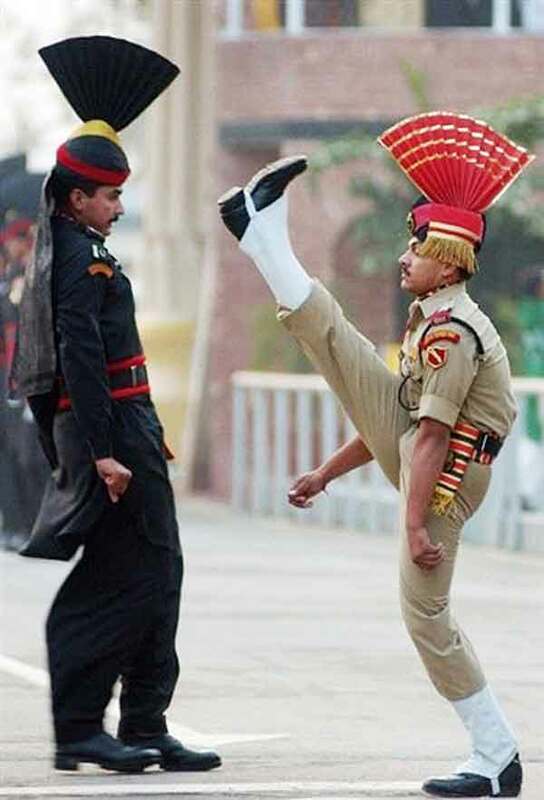 India is rapidly arming its Defence forces. The latest media reports suggest that the Modi Government has cleared Defence acquisition projects worth Rs 82,000 crore, which would include purchase of 83 Light Combat Aircraft (LCA) for the Air Force, a total of 464 T-90 Russian tanks and raise six regiments of Pinaka missiles for the Army, 15 Light Combat Helicopters (LCHs) and Japanese US-2i long-range amphibious surveillance aircraft for the Navy. These acquisitions come on the heels of purchase of 36 French Rafel fighter jets and a second Akula class nuclear submarine at a cost of $2 bn from Russia. Lt. Gen. Sinha was very much an old-world aristocrat in the truest sense of the word, calm and collected under all circumstances. I had the privilege of knowing Lt. Gen. Srinivas Kumar Sinha, PVSM (Retired), but not his full name until quite recently. He was an “officer and a gentleman” of the old school whose character and moral values sprang from his undoubtedly privileged family background from an established landowning Bhumihar family of Bihar which was politically influential and well connected. Lt. Gen. Sinha was very much an old-world aristocrat in the truest sense of the word, calm and collected under all circumstances, just, fair, at the same time strict and even handed in all matters. He was endowed with a personal sense of honour and the most impeccable integrity. I was aware of his advanced age, and I knew the end had to come sometime, but nevertheless I was indeed sad when the news arrived of his passing. 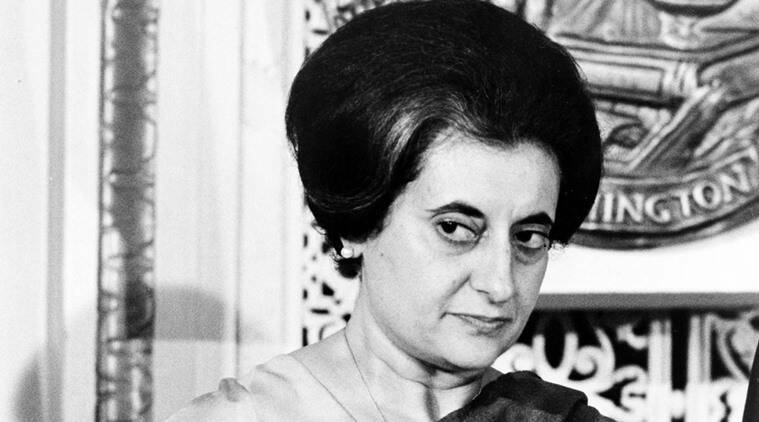 Remembering Indira Gandhi in her birth centenary year is necessary for more than sentimental or partisan reasons. She gave self-confidence to a nation in times of self-doubt caused by the humiliating defeat of 1962, the growing severity of the food crisis and failures of state-guided development. She also gave a complacent polity a taste of the authoritarianism that could easily eclipse democracy. She personified dignity in the face of political defeat and adversity and exhibited grit as well as an acute sense of the political in her re-entry into the portals of power. In her lifetime, she graduated into folklore; in her death, she became a martyr. One cannot help but appreciate Mr. Modi’s sense of timing for the dramatic. Following the raids inside POK subsequent to Pakistan’s Uri misadventure, we have chaos heaped in big measure with the surprise move to demonetize high value currency notes. On the aftermath of the precision raids against militant launch pads while everybody and their uncle was holding forth on its efficacy or otherwise, those at its receiving end maintained an uneasy silence, prevalent even to this day similar to the Mafia’s code of Omertà. Stone pelting too, which appears to be motivated more by cash transfers than any actual grievance against the local Administration is also likely to be greatly impacted by Mr. Modi’s action to switch off unaccounted for funds. We now see a similar reaction on Mr. Modi’s strike against the corrupt, with politicians of all hues loudly proclaiming their opposition to the move on behalf of the common man. This is despite the fact that the average man or woman on the street, inspite of the inconvenience faced, appears to have reacted positively to this initiative. There can be little doubt that politicians have been greatly impacted, personally and politically, especially given the role of money power in elections, which interestingly finds little mention. All of this, including Trump’s unexpected success at the American Presidential hustings, has pushed the question of the ongoing situation along the LOC into the background, which in itself is not a bad thing. We can certainly do with lowering of tensions, something impossible to achieve in the face of an aggressive and ultra-nationalistic media that continues to view Indo-Pakistan relations through the prism of a zero sum game. Given the onset of winter in the coming weeks, the Kashmir Valley is slowly settling down to its usual bout of somnambulism. The attempts by radical elements to burn down schools, while their own kith and kin get the benefits of education elsewhere, has not gone down well with the affected population and is leading to increasing disenchantment with Separatists and their disruptive agenda. Stone pelting too, which appears to be motivated more by cash transfers than any actual grievance against the local Administration is also likely to be greatly impacted by Mr. Modi’s action to switch off unaccounted for funds. *** Come the Revolution Winning the war leads to the inevitable problem of running the country. Bill Gates, Elon Musk and Stephen Hawking all have something in common: All three have gone on the record sharing their concerns and fears about artificial intelligence and robotics. While these technologies hold a great deal of promise, and will have a real impact on our future, it’s important for us to understand the ramifications they could have for all of us, particularly in terms of labor. The growing sophistication of computer criminals can be seen in the evolution of attack tools like the widely used malicious program known as Blackshades, according to Mr. Goodman. The author of the program, a Swedish national, was convicted last year in the United States. The system, which was sold widely in the computer underground, functioned as a “criminal franchise in a box,” Mr. Goodman said. It allowed users without technical skills to deploy computer ransomware or perform video or audio eavesdropping with a mouse click. Nonviolent resistance has been a surprisingly effective method of political change and its use has spread around the world. In this brief, Erica Chenoweth highlights some of the recent developments in this form of defiance, including a puzzling and sudden decline in the effectiveness of nonviolent resistance since 2010, and the surprising lack of state support for such campaigns. This article was originally published by the Peace Research Institute Oslo (PRIO) in 2016. Nonviolent resistance has been a surprisingly effective method of political change. Moreover, it is becoming an increasingly common practice around the world. This policy brief highlights some key trends in nonviolent resistance–including a puzzling sudden decline in the effectiveness of nonviolent resistance since 2010, an increase in the number of violent flanks within otherwise nonviolent uprisings, and the surprising lack of direct state support for such campaigns. The brief concludes with implications for policymakers concerned with human rights and democracy assistance. Nonviolent resistance is on the rise, even as violent forms of resistance are on the decline. Nonviolent mass uprisings can be swift, effective, and extremely difficult to predict. However, nonviolent resistance has declined in its effectiveness since 2010, even as it has become a more widely adopted technique. Activists need skills, knowledge, protection from repression, and an engaged and prepared civil society to mobilize effectively. Never before have the relations of India and Japan relation been calibrated by a third country factor. The recent November summit between Indian Prime Minister Narendra Modi and Japanese Prime Minister Shinzo Abe in Japan, and the deals between the two countries are the reflections of the concerns of India and Japan with respect to China’s assertiveness for Asian hegemony and muscle flexing in South China Sea. The success of six year tug-of-war Civil Nuclear deal against China’s intransigence for anti-NGS stance and Japan’s sale of US-2 amphibious planes to the Indian Navy, pledging for Defense Framework Agreement and Joint Working Group for defense equipment and cooperation, joint cooperation for development of Chabahar Port in Iran and reiteration of commitment for maintenance of peace in South China Sea in the Joint Statement, all reflect the new directions of the India-Japan relations with a focus on China in Asia. There was a paradigm shift in India-Japan relations from economy to defense. Never before has defense gained prominence over the economy. In the Joint Statement, the economic focuses were preceded by defense commitment. A new twist in the India-Japan relation was observed in the aftermath of Japan introducing new defense guidelines in December 2013. Under the guidelines, Japan identified a number of areas in which it would like to strengthen cooperation with India. The era of India–Japan defense cooperation began with MR Modi’s first visit to Japan as Prime Minister in September 2014. The summit made a turnaround in the bilateral relation focusing on defense cooperation after Japan lifted the ban on six Indian entries, including HAL (Hindustan Aeronautical Limited) – the only Indian company producing Indian defense aircraft – in the hope of selling US-2 amphibious planes. Thus, India became the first country in the world after World War II to acquire military systems from Japan. Despite the chilling brutality of the Islamic State (ISIS), the harsh laws of Sunni Saudi Arabia and the hate speeches of mullahs from Tehran to Islamabad, the more extremist strains of radical Islam receive less criticism than they deserve. Few want to meet the fate of the journalists and cartoonists of Charlie Hebdo, murdered by Islamist terrorists, or Kamlesh Tiwari, still languishing in jail nearly a year after his allegedly derogatory comments on the Prophet. Islamaphobia is rightly condemned. Hinduphobia though is acceptable in living rooms across upper middle-class urban India where secular poseurs are many in number. In India it's kosher, even fashionable among the nouveau elite, to be anti-Hindu. We'll come to the pathology of this curious phenomenon in a bit but first a look at The Economist's story on Muslims in India whom it calls 'An Uncertain Community'. International law requires the consent of all parties, but China and the US reject when decisions cross short-term strategic interests. Flutter over the surprise visit to China by Philippines President Rodrigo Duterte may soon fade. But his abrupt and public dismissal of the United States in favor of China has weakened the argument that international rule of law could underpin a changing world order. The issue in question was the long-running dispute between China and the Philippines over sovereignty of Scarborough Shoal, situated 800 kilometers southeast of China and 160 kilometers west of the Philippines mainland, well inside the United Nations–defined Philippines Exclusive Economic Zone. Despite a court ruling and Duterte’s cap in hand during his October mission to Beijing, Philippine fishing vessels still only enter the waters around Scarborough Shoal at China’s mercy. The dispute erupted in April 2012, when China sent ships to expel Filipino fishing crews and took control of the area. The standoff became a symbol of Beijing’s policy to lay claim to 90 percent of the South China Sea where where it continues to build military outposts on remote reefs and artificially created islands in waters claimed by other nations. Lacking military, diplomatic or economic muscle, the Philippines turned to the rule of law and the Permanent Court of Arbitration in the Hague. A panel of maritime judges ruled China’s claim to Scarborough Shoal invalid in July this year. China refused to recognize the tribunal from the start and declared the decision “null and void,” highlighting the complex balance in the current world order between national power and the rule of law. Beijing’s response mirrored a 1986 US response to Nicaragua’s challenge in the International Court of Justice. The court ruled against the United States for mining Nicaragua’s harbors and supporting right-wing Contra rebels. The United States claimed the court had no jurisdiction. With these stands, both China and the United States weakened a crucial element of international law – consent and recognition by all parties. China-US collaboration on infrastructure projects in Asia could reduce extremism, improve relations and help companies. With Donald Trump’s election, China and the United States could be on a collision course. The US president-elect promised during the campaign to label China a currency manipulator, instruct the US trade representative to bring trade cases against China in the World Trade Organization, and threaten 45 percent tariffs if China does not renegotiate trade agreements with the US. Meanwhile, China pursues a military buildup in the South China Sea designed to diminish US influence in Asia. As Trump addresses trade and the other issues on the US-China agenda as president and not candidate, he may find it useful to look for areas where the two countries could work together. One opportunity ready to be explored is the vision promoted by both Beijing and Washington of the need for more economic and infrastructure connections between East Asia, South and Central Asia, the Middle East and Europe. Two concepts are in play: China’s One Belt One Road, or OBOR initiative, a multibillion dollar program to build ports, railways, roads, power plants in and around 60 countries and the more modest, but still important, the American New Silk Road initiative, or NSR. In July 2011, then Secretary of State Hillary Clinton spoke in India about the benefits of linking Central Asian economies with those in South Asia, with Afghanistan and Pakistan in the center. Increased regional economic connectivity, she argued, would promote sustainable economic growth, a crucial part of the effort to defeat extremism. In September, the United States convened a New Silk Road ministerial meeting in New York and China expressed enthusiasm for the project. Turkey hosted the “Heart of Asia Conference” in November 2011, and supported by the United States and China, the concept became a touchstone for regional cooperation. On Tuesday, Deputy Crown Prince Mohammed bin Salman chaired the 15th Joint GCC Defense Council meeting in Riyadh, which was attended by the defense ministers of the GCC states. During the meeting the deputy crown prince called for greater GCC military cooperation. All these events point toward a greater urgency among the GCC states to close their ranks in view of the changing scenario in the wider region. The GCC states — Saudi Arabia, the UAE, Bahrain, Qatar, Kuwait and Oman — are the most prosperous, secure, stable and homogeneous states in the world. The GCC countries enjoy stability in an area known for its volatility. For many years, the Arabian Gulf states managed to deal with, and overcome, many challenges. After achieving great feats together, the people of the GCC states want to take the cooperation between their respective countries to a new level by forming the United Gulf States. The region is facing many challenges and they should be countered with more plans for security as well as for more economic and political unity. The Gulf region is blessed with natural resources, which require protection from any military or terrorist threats. The “Arabian Gulf Security One” exercises held in Bahrain successfully achieved the desired results. Different forces showed professionalism in coordinating a variety of operations. The large number of personnel who participated in the exercise and the sophisticated equipment used in the drill showed the readiness and ability of the GCC to counter any threat coming from any country or any terrorist organization. These solutions are faulty. As a recent research trip to Iraq confirmed to me, while ethno-sectarianism persists in Iraq, its influence on post-ISIL stabilization should not be overdetermined. Important shifts have occurred in Iraqi politics and society since the ISIL onslaught in Mosul in June 2014, rendering state partition along ethnic and sectarian lines even less likely today than a decade ago. Instead, the Iraqi state has broken down into hyper-fragmented entities with their own militias, all of which seek recognition, economic benefits, self-rule, and self-protection within the Iraqi state. ISIL’s consequences include demographic shifts, re-ordering of internal boundaries, and pacts and divisions within and across communities. Any successful plan to stabilize Iraq must address these developments. At minimum, both policy and plans should enhance Iraqi sovereignty and focus on local governance and security arrangements in official territorial units, rather than particular ethnic and sectarian group interests. Imagine if Saddam Hussein and Muammar Gaddafi had nuclear weapons in 2003. The invasion of Iraq may not have been possible, and states would have been much more reluctant to bomb Libya in 2011. The Middle East would be a very different place today. As it happens, both leaders had sought nuclear weapons for decades, but neither got the bomb. Why? In fact, Iraq came close to the nuclear weapons threshold. If Saddam hadn’t invaded Kuwait in the summer of 1990,Iraq would most likely have acquired nuclear weapons during the mid-1990s. In contrast, Libya’s program failed, over and over again, for three decades before the Gaddafi regime ultimately abandoned the program in late 2003. In my new book, Unclear Physics: Why Iraq and Libya Failed to Get Nuclear Weapons, I present a history of the nuclear programs in both states. Armed with new evidence, collected in archives and fieldwork over the past decade, I tell the story of these nuclear programs from the contemporary perspectives of decision-makers, scientists and managers. By exploring these programs from the bottom up, as well as from the perspectives of regime elites, I shed new light on why these programs failed, and how much Saddam and Gaddafi actually knew about how these programs were doing at different stages. My findings also challenge important aspects of the conventional wisdom about how these regimes worked: They were not efficient machines, as they appeared from the outside. Seen from the inside, these regimes were frequently chaotic and inefficient. While dictators with weak states can easily decide that they want nuclear weapons, they will find it difficult to produce them. Why? Personalist dictators like Saddam and Gaddafi weaken formal state institutions in order to concentrate power in their own hands. This helps them remain in power for longer, but makes their states inefficient. Weak states have fewer instruments to set up and manage complex technical programs. They lack the basic institutional capability to plan, execute, and review complicated technical projects. As a result, their leaders can be led to believe that the nuclear weapons program is doing great while, in fact, nothing is working out. In Libya, for example, scientists worked throughout the 1980s to produce centrifuges, with zero results. The election of Donald Trump has prompted a flood of commentary on the future of the Joint Comprehensive Plan of Action (JCPOA), President Barack Obama’s signature achievement. Trump repeatedly described the JCPOA with Iran as the “worst agreement ever” and promised to “dismantle” it. As is well known, the JCPOA, as a multinational agreement, cannot be abrogated by the United States alone. It is not even clear whether Trump, who, in his customary contradictory manner, also complained that sanctions hurt American chances of doing business with the regime, would attempt to kill it. Vice President–elect Mike Pence, a Tea Party supporter and an evangelical Christian, has been more consistent, vowing numerous times to rip up the accord. Overlooked in the speculations about Trump’s future decisions is the dominant role that Congress would play in shaping American policy toward the JCPOA. In 2015, in conjunction with the government of Israel and the Israel lobby in Washington, congressional Republicans mounted an unprecedented but ultimately an unsuccessful campaign to derail the deal. Still, the lobby and its congressional patrons have not abandoned their effort to limit the economic benefits of the deal to Iran. One effective tool is new sanctions-generating legislation. Lawmakers from the House Republican Israel Caucus introduced several bills which would, among others provisions, extend the Iran Sanctions Act due to expire in December 2016, block the sale of eighty Boeing planes to Iran and prohibit the Export-Import Bank from financing business with Iran. Unlike President Obama, President-elect Trump is not expected to veto the anti-Iran legislation, setting a relatively low bar for its passage. This article was originally published by the Institute for the Study of War (ISW) on 9 November 2016. ISIS has organized a number of external attacks worldwide in the past year, some of which have been thwarted. ISIS’s global network is still operating and is poised to continue conducting external attacks in late 2016. The U.S. must recognize that the campaign to recapture Mosul and Raqqa will not defeat ISIS. Rather, any military success in Iraq and Syria must be the first phase of a campaign to counter ISIS globally, whether through military or non-military means. ISIS has been planning an external attack from Raqqa, Syria. The U.S. and its partners in the counter-ISIS coalition are assisting the major operations to recover Raqqa and Mosul, ISIS’s main urban hubs. ISIS is conducting counter-offensives inside Iraq to divert Coalition attention from these main efforts. Similarly, ISIS will direct its global network to launch additional counter-offensives across its global footprint. Coalition partner nations face a high risk of attacks by ISIS on their homelands and their populations abroad while the offensives to recapture Mosul and Raqqa progress. The attack threat emanating from Raqqa highlights that ISIS-linked militants across the world still receive direction from ISIS in core terrain. ISIS’s global attack network consists of two known campaigns: a general call for individuals to conduct attacks in the name of ISIS; and specific discrete attacks that are planned, coordinated, and executed by organized groups or cells of ISIS members. The specific external attack threat emanating from Raqqa falls in the latter category, over which ISIS exerts more control. Abu Mohammad al-Adnani, ISIS’s former spokesman and director of external operations, may have masterminded this two-pronged strategy and its execution. But his death on the battlefield in Aleppo Province on August 20, 2016 did not eliminate ISIS’s ability to design and coordinate such attacks. ISIS’s global network is still operating within the campaign framework defined by Adnani and other high-ranking ISIS militants and is poised to continue external attacks in late 2016. While there is “a new dawn for global cooperation on climate change”, greater efforts are required to mobilize funding to address climate change, especially to support developing countries, according to UN Secretary-General Ban Ki-moon. Russia revealed on 15 November that it has K-300P Bastion-P (SSC-5 ‘Stooge’) coastal defence systems deployed in Syria, and that its P-800 Onyx (SS-N-26 'Strobile’) anti-ship missiles have a land attack capability. According to the Russian Ministry of Defence (MoD) it fired some of these missiles against rebel land targets in Syria on 15 November. At least two missiles appear to have been fired from two different Bastion-P launchers, based on the footage release by the MoD. The strikes came as part of the launch of a Russian air offensive against rebel forces in Syria that also included the firing of Kalibr missiles from the Russian Navy Project 11356M frigate Admiral Grigorovich. The Russian air offensive is believed to be linked to a Syrian ground offensive in the Aleppo area. Based on analysis by IHS Jane’s , one of the Bastion-P launchers seen in the Russian MoD footage was deployed at a Syrian P-14 early warning radar site 30 km inland from the coastal city of Baniyas in Tartus province (35.165798 N, 36.262310 E). The Syrian government also operates Bastion-P systems, with the first deliveries reported in 2011. These are generally referred as Yakhont systems after the name for the export version of the P-800 missile. The general outlines of Trump’s foreign policy vision suggest that we should prepare for a sharp break from the past. Trump seems uninterested in pursuing either the energetic liberal internationalism or the aggressive interventionism that have defined post-Cold War American grand strategy. Instead, Trump appears ready to redefine American commitments around the world – to regional security, to free trade and to alliances. Trump’s success, however, will depend on whether he wins the tug-of-war with his foreign policy advisers. Most are likely to be wedded to the very strategies Trump attacked during his campaign. The reason is simple: there are simply no senior foreign policy hands – on either the Republican or Democratic bench – who support Trump’s mélange of unorthodox positions on international issues. The names floated to date — Newt Gingrich, John Bolton, Gen. Michael Flynn, Senator Jeff Sessions, Senator Jim Talent and the like — all have greater inclinations toward American engagement in the world, and military intervention in particular, than Trump. All of them supported the war in Iraq that Trump famously purports to have opposed and now calls a huge mistake. Gingrich and Bolton have both called for military strikes to destroy Iran’s nuclear program. Most of these cabinet candidates also break with Trump on the issue of Russia and Vladimir Putin and support more aggressive measures to confront China. And on the question of the Islamic State, though Trump has called for “smashing ISIS” and other tough counterterrorism measures, he has also made it very clear that he has much less interest than his potential advisors do in getting more involved militarily in Iraq and Syria. If Trump’s top advisors win the tug-of-war, American foreign policy will look very different from the one Trump sketched during the campaign. The $64 thousand question then is who will win the tug-of-war? Both logic andscholarly research suggest a president as inexperienced as Trump is very likely to rely heavily on the counsel of his advisors. After all, Trump doesn’t just lack foreign policy experience – he has never held any government office and remains unfamiliar with the rhythms of the federal government and U.S. foreign policy. Who Cares What the Neocons Think? George Orwell once famously observed that Western intellectuals, more often than not, harbor a dirty secret. For all their pious talk about democracy or equality, their true temptation is to “usher in a hierarchical society where the intellectual can at last get his hands on the whip.” Orwell was talking about James Burnham, who went from being a prominent Trotskyist in the 1930s to a columnist at National Review espousing the rollback of Soviet Communism. But the force of his dictum applies to today’s neoconservatives, and perhaps to none better than Eliot A. Cohen. Cohen, who is the Robert E. Osgood professor of strategic studies at Johns Hopkins University’s School of Advanced International Studies, was, of course, among the foremost proponents of the Iraq War. His forthcoming book The Big Stick: the Limits of Soft Power & the Necessity of Military Force, as the title suggests, is not the work of someone who has had any serious second thoughts. On the contrary, it is an unabashed plea for a revival of American militarism. As Talleyrand remarked about the Bourbons, Cohen has learned nothing and forgotten nothing. Perhaps, then, it should not be surprising that Cohen has been at the forefront of the “Never Trump” campaign. Cohen is not a traditional conservative but a crusading neocon. Writing in the American Interest, heobserved, “The Republican Party as we know it may die of Trump. If it does, it will have succumbed in part because many of its leaders chose not to fight for the Party of Lincoln.” Then, after Trump won, Cohen apparently changed his mind. He suggested that younger conservatives might consider serving in the new administration. 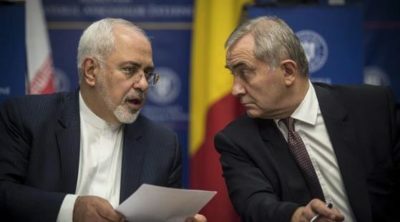 Iran exercised vigilance to settle the nuclear dispute and got approval of the UN Security Council revoking the sanctions, so that the US government cannot change the situation. The official Iranian news agency IRNA reported the comments by President Rouhani and Foreign Minister Zarif on the same day that reports appeared in the Western press alleging Iranian violations of the JCPOA. The International Atomic Energy Agency (IAEA)—the United Nations agency charged with monitoring Iranian compliance under the JCPOA—”expressed concerns” about a technical breach related to Iran storing heavy water in excess of the amount permitted under the JCPOA. It is the second time since the JCPOA went into effect on 16 January 2016 that inspectors found Iran in breach of the heavy water stockpile threshold.